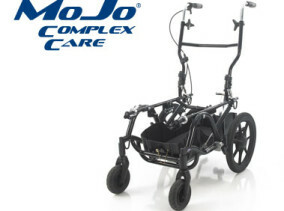 The Mojo® Stroller 2 is the latest version of this versatile lightweight Stroller Buggy from SOS and meets all the requirements for Special Seating clients. 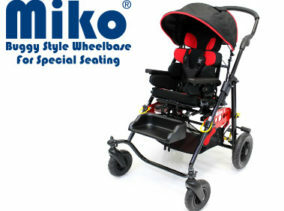 The concept was to produce a compact and sturdy Special Seating Buggy Style Wheelbase, ideally suited for an infant or very young child. Available in a range of colours and finishes for individual choice. 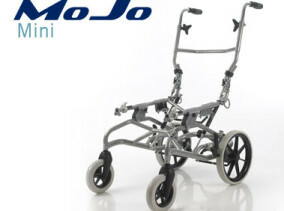 Specifically designed by SOS as ‘Special Seating’ mobility chassis the MoJo® Stroller 2 was designed from the offset to have its own identity and style but to still be recognisable with the rest of the MoJo® range. All Strollers are equipped with a Tilt-in-Space seat adjustment for accurate seat positioning and to assist with Postural Management needs. 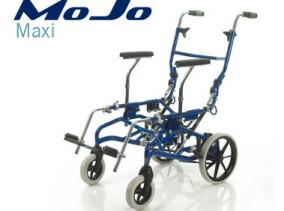 Height adjustable push handle to maintain comfort and control during use and as with the rest of the MoJo® Range the Stroller 2 is available in a choice of 7 colours. Each client is individually assessed to identify which size and specification is suitable. 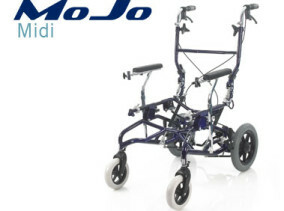 All of the component parts of the wheelbase are designed to meet the requirements of the client sitting posture. SOS offer a range of harnesses and supports to accompany your specialist seating. 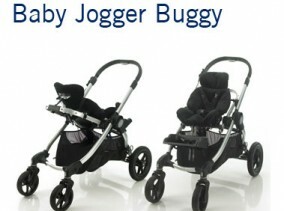 Please see the options and accessories section for more information. 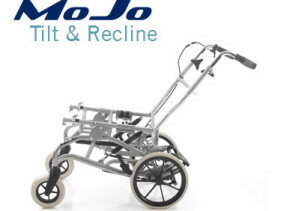 The Mojo Stroller 2 is available in a range of metalic and solid colours.